The contemporary nation-state is popular in that it rests upon mutual identification between rulers and ruled. Such identification is based upon common primordial qualities that are felt to be ancient, inherent, given, however new they may in fact be: language, territory, culture, race. But the nation-state has also produced far more rigorous authoritarianisms and frequently less tolerance than old empires. Anthropology, the -study of man, - for all the immodesty of its name, has concerned itself almost exclusively with people in small groups: bands, tribal segments, village communities, and, recently, urban neighborhoods, schools, and work places. Social anthropology has been the science of the socio-cultural microcosm and has developed a method and style of inquiry appropriate to this task. 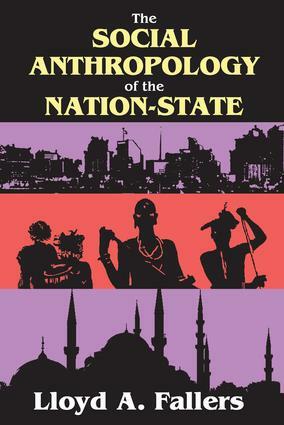 This volume uniquely applies the techniques of social anthropology to the study of the nation-state. This discussion of states and their microcosms does not simply celebrate social anthropological research and the understanding it yields, but also illustrates its contribution, in combination with other modes of investigation, to the understanding of contemporary international issues. In particular, Fallers says it is necessary to place the microcosms historically, for those who inhabit them act within history as experienced, both directly by themselves and, at further remove, by their predecessors and contemporaries. This classic volume offers a different perspective for understanding international issues.